Arrive in style at one of Edinburgh’s finest hotels, The Sheraton Grand. Just a stone’s throw away from the famous Scottish icons of Edinburgh Castle and Holyrood Palace, the Sheraton Hotel is in a prime spot to see all the sights and enjoy the city of Edinburgh in all of its glory. 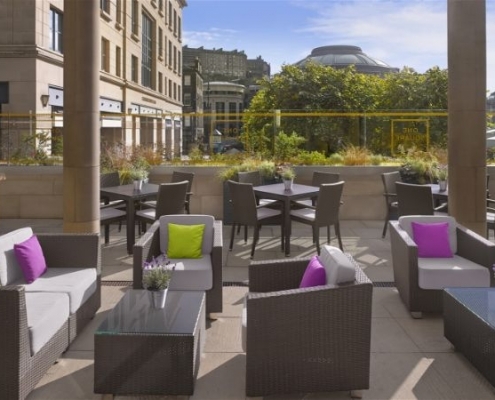 The Sheraton Grand Hotel is one of the most renowned luxury hotels in Edinburgh, which enriches guest’s stays when they visit the gorgeous city. With uninterrupted views of the beautiful city of Edinburgh and Edinburgh Castle, guests have many exquisite rooms and suites to choose from. Each room is equipped with luxurious amenities to accommodate for all of guest’s needs. The rooms are filled with natural daylight and feature rich wooden floors, with a splash of colour in its furnishings. Looking for the perfect honeymoon suite? 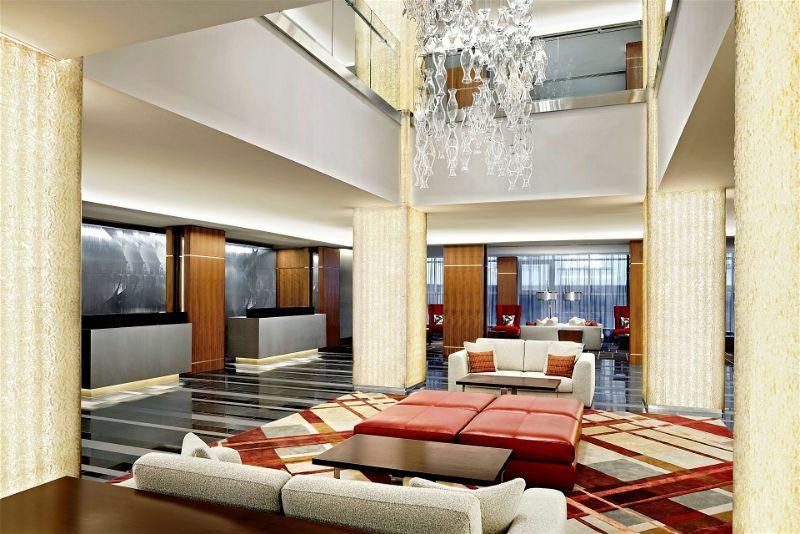 The Grand Suite at the Sheraton Hotels provides a new level of luxury. A true focal point of the hotel, the Grand Suite offers nothing less than perfection. Featuring state-of-the-art amenities such as a video entry system, a BOSE Home Entertainment System, and interactive TV, the Grande Suite enhances each and every guest’s stay. 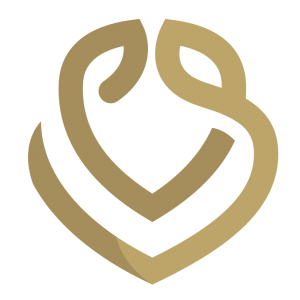 Newlywed couples or anyone looking for a little TLC can select treatments from the hotel’s Soak Your Senses Bath Menu to enjoy from the comforts of their own room. With specially selected ESPA bath oils, mood lighting and even an indulgent glass of bubbly, guests can be treated with nothing but luxury, leaving them with a newfound sense of tranquillity. You may also be interested in locations based in Inverness, the Inverness Palace Hotel is a great place for you and your family to take a break with a great riverside view. 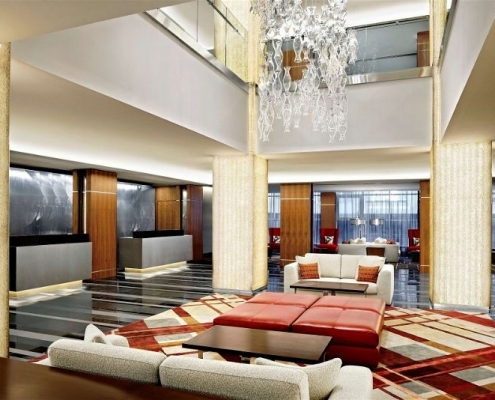 Guests who stay at the Sheraton Suites have access to the hotels’ Spa and Club Lounge. At One Spa, guests can be at one with oneself and will leave feeling relaxed and rejuvenated. 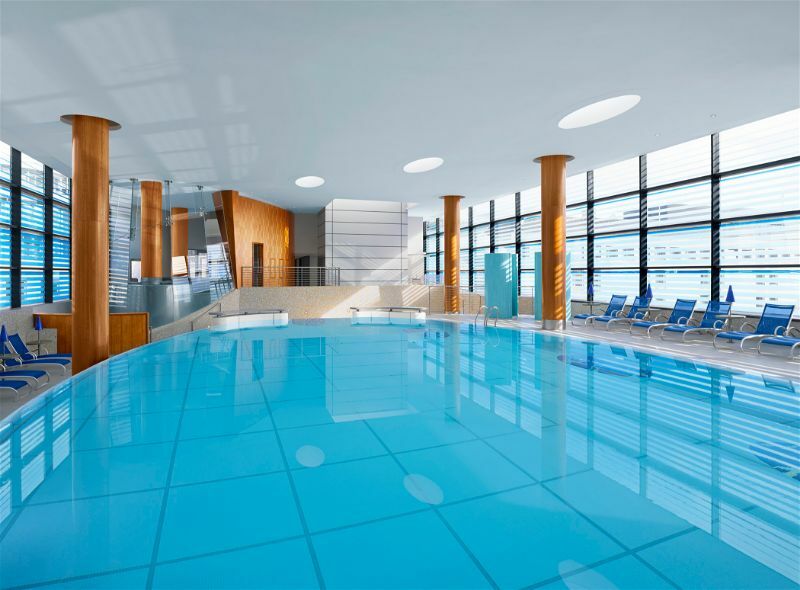 The award-winning spa boasts an impressive infinity swimming pool and sparkling rooftop Hydropool for guests to look out over Edinburgh. To keep up with fitness routines, guests can enjoy the advanced gym and fitness studio provided alongside One Spa. Delivering some of the finest Scottish cuisine in Edinburgh, the One Square Restaurant in the Sheraton Hotel provides an array of signature creations that are sure to tantalise guest’s taste buds. Working with the best local suppliers, all of the produce served at One Square Restaurant is the best quality and extremely fresh. Or taste a bit of Scottish Heritage with One Square Restaurant’s Scottish Tasting Menu. The specially created menu is paired with premium Scottish beers and spirits that are the perfect accompaniment to each delectable dish. Not to mention the incredible gins that are available for guests to discover at one of Edinburgh’s first gin bars. Featuring its very own One Square Gin, which is batched locally at Sumerhall Distillery in Edinburgh, guests at One Square Gin Bar can sample the gin tasting packages available at the Sheraton Hotel. Choose from the classics to the carefully crafted; the possibility of gins is never ending at One Square’s Gymnasium. 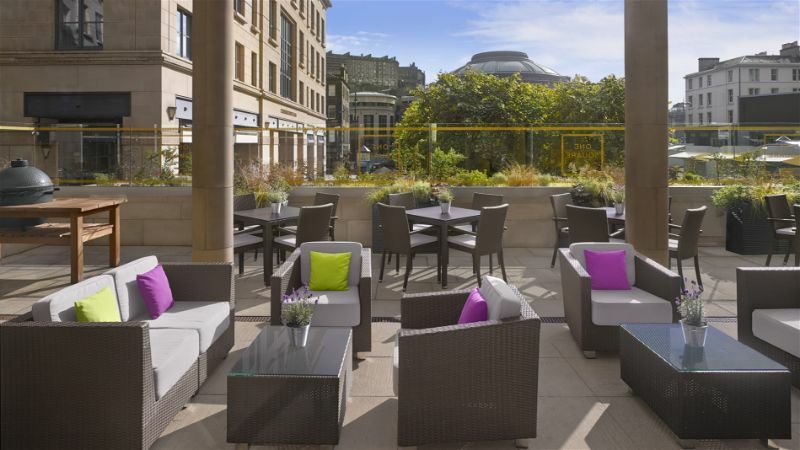 Whether you are looking for a romantic weekend escape, some quality time with your family, or a relaxing environment for a business trip, the Sheraton Hotel in Edinburgh is certain to cater for all of your needs.